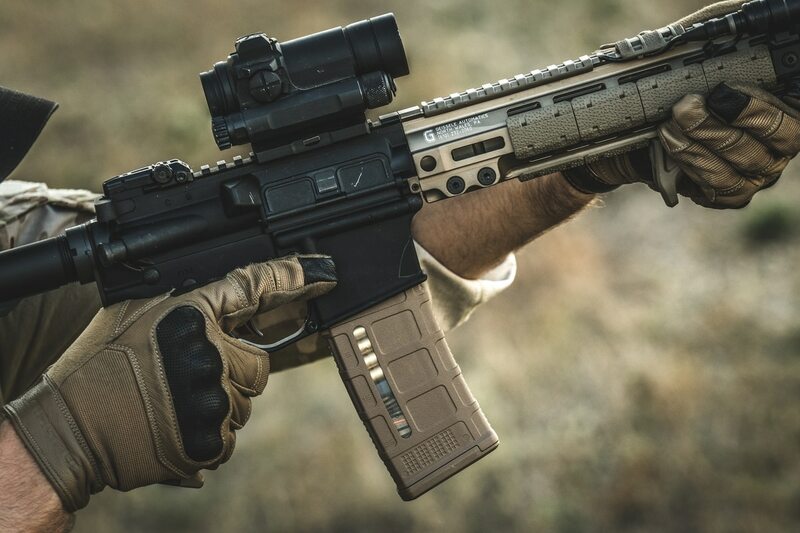 The Marine Corps has approved Magpul Industries Corp.'s signature polymer ammunition magazine for use in combat and training, according to a Magpul press release. Magpul is a private company that manufactures weapon accessories and tactical apparel to include ammunition magazines, buttstocks, weapon sights, slings and grips. "The Magpul GenM3 PMag was the only magazine to perform to acceptable levels across all combinations of Marine Corps 5.56mm rifles and ammunition during testing. That magazine has, therefore, been approved for use for both training and combat," Marine Corps Systems Command (MARCORSYSCOM) told Military Times. Based out of Austin, Texas, Magpul’s polymer-based magazine, commonly referred to as the PMAG, has become a favorite of combat veterans and members of the special operations community since its inception in 2007. Its rugged dependability has made it a top performer among private competitors in the small-arms accessory sector. "The PMAG is a great product … lightweight and durable. I have seen numerous special ops teams from all services pass through here, and they all use PMAGs. Also, a large amount of Marine infantry here use PMAGS, including their Force Recon elements," said an Army infantryman deployed to Afghanistan. However, the increasing use of polymer magazines in combat theaters for deployed U.S. troops has not been without controversy. In 2012, both the Marine Corps and U.S. Army banned the use of any non-standard magazine, allowing only the government issued aluminum magazines for combat and training. "The specification to use "only tested, approved, and authorized magazines" was born from the Combat Marksmanship Symposium of 2012 where it was discussed that there were performance concerns with the many commercial magazines being observed during annual weapons qualifications. Since the Army and Marine Corps are both working toward new ammunitions and/or magazines, but neither quite done, it was decided to simply reiterate that only those magazines tested by the Primary Inventory Control Activity (PICA) would be allowed until further notice," MARCORSYSCOM told Military Times. The polymer magazine ban was a two-fold issue stemming from untested polymer magazines appearing in the hands of Marines deployed in combat zones that were from unknown or less reliable manufacturers; and the lack of reliable testing to determine which manufacturers were producing satisfactory equipment— the safest solution was then to impose a ban, according to Duane Liptak, the Director of Product Management and Marketing at Magpul. In response to the Marine Corps ban on unapproved magazines in MARADMIN 668/12, Magpul issued a press release. "There is indeed an issue with respect to Infantry Automatic Rifle (IAR) compatibility with the first generation, and MREV, or GEN M2 PMAG, due to the IAR having an SA-80/HK416 specification magazine well as opposed to the standard, Colt-specification magazine well of other U.S. service arms. While we certainly wish the IAR was specified with a standard magazine well, it has been fielded as submitted, and this incompatibility now presents a safety and survivability issue for those Marines deployed in combat," Magpul clarified. "Our current generation PMAG, the GEN M3, is fully compatible with the IAR, the M4, the M16A4, and all other 5.56 platforms in the current US inventory," Magpul further explained. Since the ban, excessive testing has been performed on the PMAG GEN M3, as well as other commercial magazines, at various government facilities; and the Magpul GEN M3 PMAG has been modified from a previous version to fit into the magazine well of the M27, according to a representative at MARCORSYSCOM. The M27, also known as the IAR, has recently undergone testing this fall with the Marines’ experimental 3rd Battalion, 5th Marines, based out of California, as a potential replacement to the standard-issue M4 carbine. "Throughout this testing, the GEN M3 PMAG has had zero magazine-related stoppages through all of the tests combined, with any ammunition tested, in M4, M16, and M27 platforms, and has performed better than any other magazine tested, with all of these weapon types," Duane said in an interview with Military Times. "The GEN M3 PMAG also performs well with the M249 SAW when belted ammunition is not available. As a side benefit, the GEN M3 PMAG also reduces damage to chamber face and feed ramps when using M855A1 ammunition, extending weapon life," he said. The new GEN M3 PMAGs will be manufactured out of Magpul’s shipping and manufacturing center based out of Cheyenne, Wyoming. The old standard issued aluminum magazines are expected to be used for training purposes until their life cycle ends.